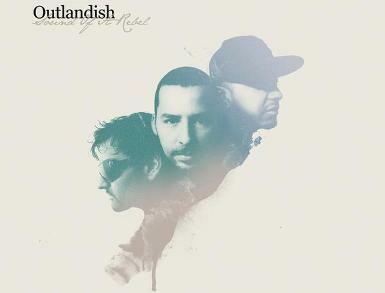 Outlandish has been the subject of many articles and interviews published during this week by the United Arab Emirates' most notable newspapers and news websites, the band members gave some interviews to promote Sound of A Rebel their latest album which was recently released in the UAE. Khaleej Times wrote an article last Monday titled "Rebels with a cause" in which Waqas Ali was interviewed and answered some questions. The National a popular newspaper from Abu Dhabi did the same in an article called "Rhymes of the times" but this time interviewing Isam Bachiri instead. Gulf News the UAE's most popular news website and newspaper joinned the club too when they published the article "Rebels return". After listening to the song "Callin' U" from Closer Than Veins album, Bass istructor from GuitarMasterClass.net -a huge website with thousands of instructional guitar videos- made a lesson he called "Outlandish Style" to learn a cool ballad track inspired by the band's song. Outlandish nominated for MTV EMAs Best Danish Act again! MTV opens the vote for MTV Europe Music Award in Best Danish Act category. The 20 artists and bands will fight for five seats in this voting round, you can vote as many times as you like until the first round of voting closes on 1 September. It is up to you which five are to proceed to the final vote, which starts on 7 September. Vote for Outlandish now! and don't give up voting until 1st September. p.s. In the box above, you can follow Outlandish's current rank. Second single comes out! "Feels Like Saving the World"
Outlandish were the guests of a youth program called "A'ali sotak"(Raise Your Voice). The program is prepared and presented by young people affiliated to the youth association PYALARA which is a non-profit organization seeks to activate the youth role in the society. It's aired every sunday on Palestine National TV broadcasting from RamAllah. The program tackles different subjects that matter to the Palestinian youth. The episode was aired this Sunday and it is recorded by our mastermoro Linz, so all thanks goes to her. While in Delhi, India Outlandish gave an interview to Zee News, a 24-hour Hindi current affairs and news channel in the country. You can read the interview by clicking 'Read More' or/and follow this link for the full article which was featured under the ZEE Exclusive section today on the front page of the channel's official website. SOUND OF A REBEL: Late Elmoro4life review. The band have just finished the short Indian tour which included 3 concerts in the cities of Mumbai, Delhi and Pune. Indian media outlets are continuing their coverage of Outlandish' short tour in the country. This time the band was featured on "E Now" the daily entertainment news program on TimesNow TV, a well established English news channel in India. You have reached Elmoro4Life.com Your source of everything's Outlandish on the net. Here you will find the latest on the Talented Band, pictures, media and much more. The gallery is holding lot of images and is growing every day. Have a look around the site and make sure to check back on a regular basis to see what's happening in the world of Outlandmoro. If you have any kind of media from recent appearances you wish to share with other fans, email me. You'll be fully credited. Elmoro4Life.com is in no way affiliated with Outlandish, Soulcamp Entertainment or Sony BMG Music Entertainment Denmark. The only purpose of this website is to keep fans informed. Content such as pictures, audio, video, and such are copyrighted and property to their respective owners No copyright infrengement intended.